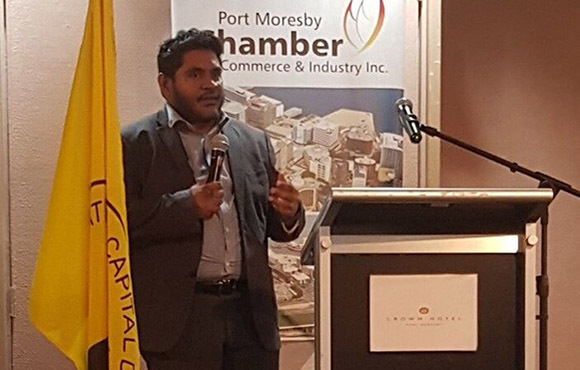 The Port Moresby Chamber of Commerce and Industry, Papua New Guinea’s largest business chamber, has a new Chief Executive Officer. In an exclusive interview with Business Advantage PNG, Stacey O’Nea shares her plans for the future. Business Advantage PNG (BAPNG): This CEO role hasn’t been filled for about a year. What’s the role of the CEO under this new arrangement? 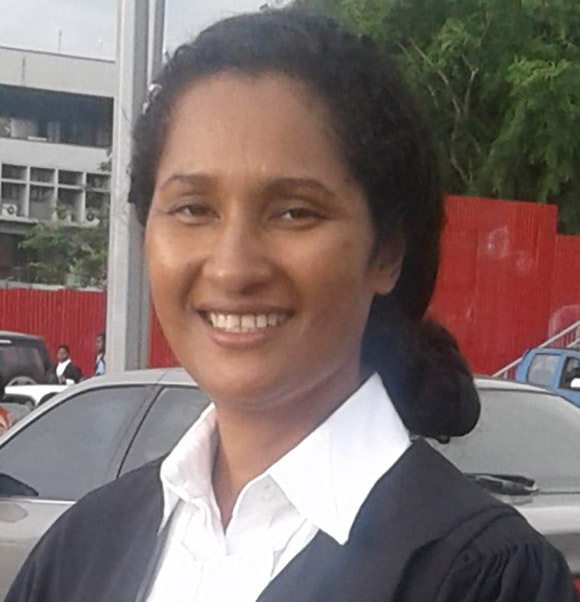 Stacey O’Nea (SO): I was the Executive Officer for the Business Council of Papua New Guinea and my role here is likened to that—and more. As CEO for the POMCCI Secretariat, I am the face of POMCCI and have representation at a higher level—sometimes with executive member(s) of the Board, interfacing with the government and with industry representatives, embassies, consulate officers, international organisations and other peak bodies. As the incumbent CEO, I continue to be the the first point of contact for foreign investors who have an interest in Port Moresby business and the business community. To lead the Secretariat effectively, I ensure that monthly board meetings are executed, that the agendas are relevant and that the board resolutions are implemented in a timely fashion. Against the looming digital era—promised by the Coral Sea Cable from Sydney to Port Moresby that is set to transform the business experience in Port Moresby and PNG—I am confident of the next chapter of POMCCI. I believe it will be surrounded with a pool of expertise and passion, the POMCCI Board. I will work with the Board to identify common agendas, areas of cooperation and support and common areas of impediments to business. We look at where we want business development to head, translated in our core functions. And we want to ensure that members feel there is added value to their membership and they are growing because of that membership and representation. BA: What’s the role of POMCCI, both in relation to other peak bodies and the government? SO: We want the government to provide an enabling environment for the private sector so that the investment climate is conducive for domestic business and foreign investors. That kind of representation is gold for POMCCI members. I want to have a good relationship with the PNG Chamber of Commerce and Industry and extend that relationship to other provincial chambers. Similarly, I want to have a working relationship with other peak bodies so there is a unified voice for the private sector and the business community. When we go as a unified, stronger voice to the government more can be achieved. One great example of this in recent times is the Foreign Investment Authority Bill (FIRAB). When it was tabled in Parliament, the private sector said we didn’t have enough consultations and that it could be dangerous. Government representatives, Deputy Prime Minister Charles Abel and Wera Mori, Minister for Commerce and Industry, paid attention and took the time to listen to what the private sector representatives had to say. Mori came out and indicated the bill currently on the floor of Parliament would be withdrawn and instead the Investment Promotion (IP) Act 1992 would be reviewed and amended. This is the kind of collaboration and consultation POMCCI is interested in maintaining and developing. I’d like to see a more structured and coordinated interface with the government so that the stability in the relationships is not dependent on the government of the day. There should be a mechanism in place for public and private sector dialogue on matters that affect the political economy in the country. Business is the engine room for growth and the government provides the environment for the economy to thrive. BA: Will POMCCI’s popular breakfast briefings continue? SO: I don’t see any reason why we should end those business breakfasts. They are great networking events for our members and a tool to better understand what is happening in different sectors and industries. Sometimes peak bodies are challenged with industry specific issues and it is important for us to facilitate meetings and dialogue when they are able to get together and meet with industry representatives to take on board industry-specific issues. In this regard, business breakfasts can be seen as that starting point. BA: What projects are you working on at the moment? SO: One of the biggest international programs that is coming to PNG is the week-long PNG Investment Summit, which will take place from the 17th to the 21st of June 2019. The peak bodies, including Business Council PNG (BCPNG), Australia PNG Business Council (APNGBC)and POMCCI, are working together with relevant government representation from the Speaker’s Office, the Investment Promotion Authority, the Tourism Promotion Authority to bring one summit program that features four distinct events. It will include the Australia PNG Business Forum and Trade Expo, the Speaker Investment Summit, the POMCCI Summit themed ‘POM City after APEC: Smart Liveable City’ and the UNESCAP Asia Pacific Business Forum. This will be an exciting summit for the government and private sector, the peak bodies and business communities in PNG, Australia and the Asia Pacific region and foreign investors interested in these economies. Watch out for this space in the POMCCI, BCPNG and APNGBC websites.